My mom and sister was over one weekend from Texas and for lunch I decided to take them to my family’s favorite place, The Farm of Beverly Hills at The Grove. We got seated on their fountain area and that way mom and sis got to enjoy the view and the people. We ordered what seems to be our usual and for dessert we ordered what two of our neighboring tables ordered…. BREAD PUDDING! 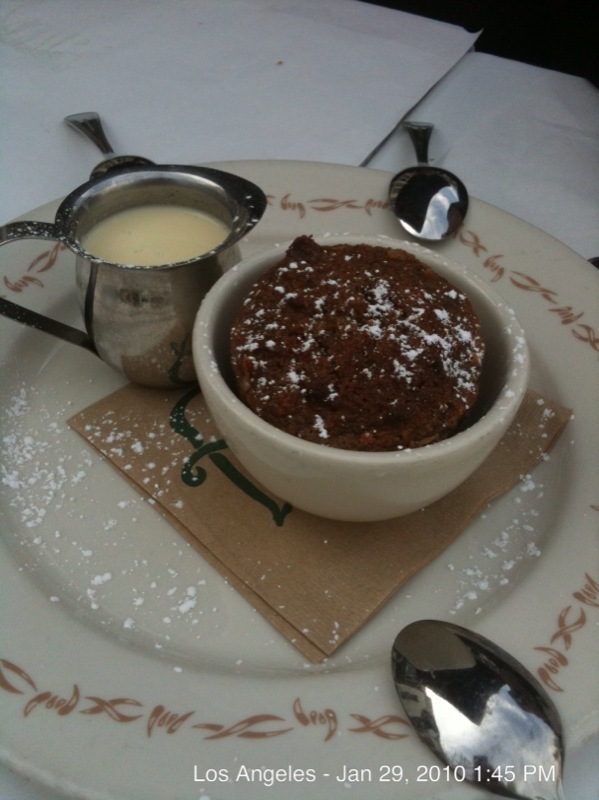 I totally forgot it was DineLA Restaurant Week that time and the bread pudding was part of their pre fixe menu. Going back to the bread pudding… did I say it was divine? Well, it was. It was dense, rich and just the right texture from the nuts. Letting it soak in the yummy milk just takes the whole thing to cloud 9. Delish! Aylahvet!